A magnitude-5.3 earthquake off the coast Thursday rattled a widespread part of Southern California. The Channel Islands quake, one of the strongest earthquakes to shake Southern California in recent years, was centered south of Santa Cruz Island off the Ventura County coast. Shaking was reported throughout a widespread part of Southern California, including inland areas. It was the largest magnitude quake in the area since the magnitude-5.1 2014 La Habra quake. "I had immediate flashbacks from the '94 quake because I was here for that. I kind of just froze," Simi Valley resident Mia English said. 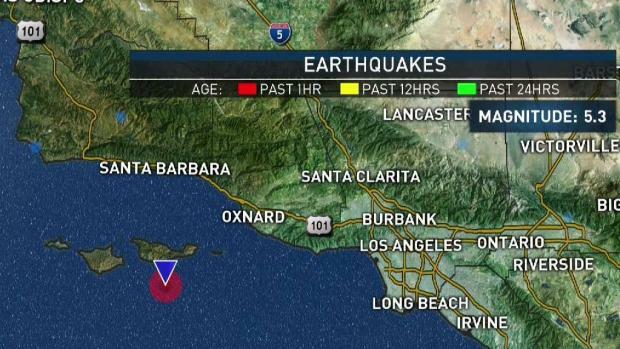 The strongest shaking was felt near the coast, including Oxnard, Port Hueneme and Santa Barbara. Weaker shaking was reported in Thousand Oaks, Westlake Village, Agoura Hills, Simi Valley, Santa Monica and other areas. The quake, triggered by off-shore faults that are part of a system that bends around the famous San Andreas Fault, was initially reported as a magnitude-5.0. It was at a depth of 10 miles. There have been no reports of significant damage. No tsunami alerts were issued. Residents in Ventura and Santa Barbara counties can likely expect aftershocks, said seismologist Dr. Lucy Jones. "That's part of life in Southern California," Jones said. Caltech seismologist Susan Hough said the university's seismology lab in Pasadena received a roughly 10-second warning of the quake through the still-under-development early warning system. Seismologist Dr. Lucy Jones spoke with NBC4 about a magnitude-5.3 earthquake Thursday April 5, 2018. The Los Angeles Fire Department went into "earthquake mode," meaning firefighters from all neighborhood fire stations conducted a survey of their areas. They check things like transportation infrastructure, places where large groups might assemble, apartments, dams and power lines. 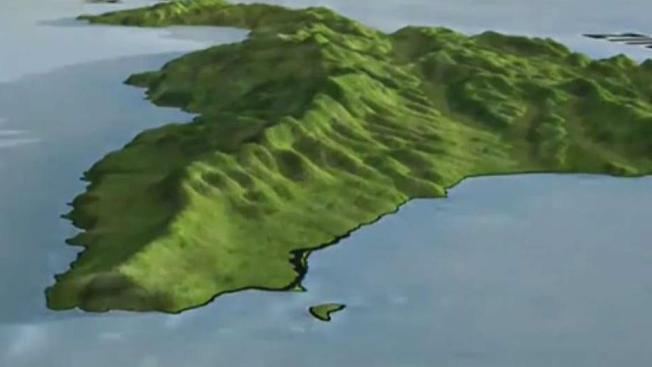 The Channel Islands consist of eight islands off the coasts of Santa Barbara, Ventura counties. Five of the islands are part of Channel Islands National Park — San Miguel, Santa Rosa, Santa Cruz, Anacapa, and Santa Barbara islands. They include Santa Catalina Island, a popular tourist destination off the LA County coast. John Cádiz Klemack and City News Service also contributed to this report.